We hold expertise in offering the Aluminium Composite Panels that are extensively used in varied commercial buildings like Shopping Malls, Factories and Hospitals. These are available with us in varied designs, colors and styles to meet the diverse requirements of our customers. Fabricated in sync with the well defined industry standards, these corrosion resistant panels are offered by us at industry leading prices. We are engaged in trading and supplying a wide range of Aluminum Composite Panels.Moreover, owing to their easy maintenance, accurate dimensions, corrosion resistance and durable finish, these panels are widely used commercial buildings like shopping malls, factories, and hospitals. 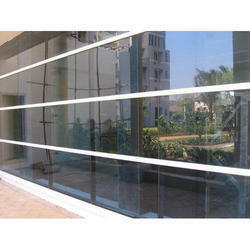 Looking for Aluminium Composite Panels ?